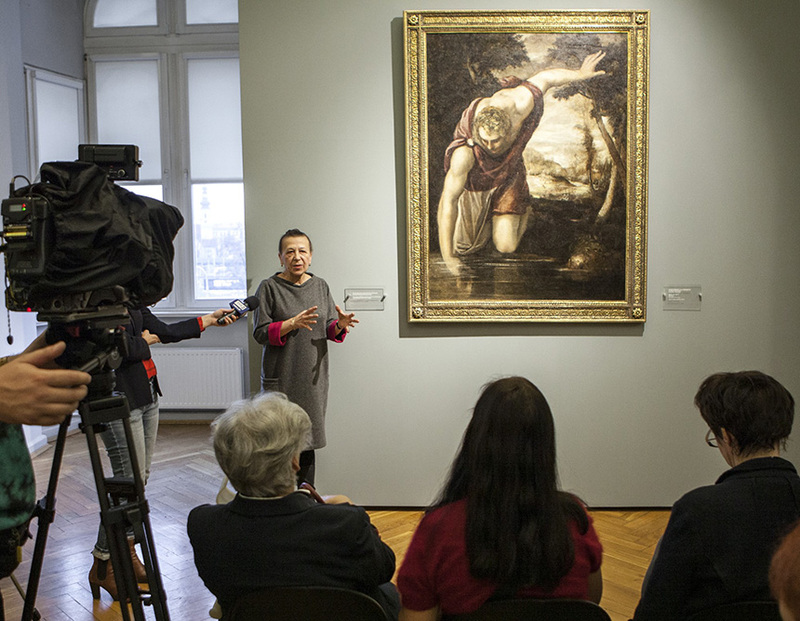 The collection of the National Museum in Wrocław has been enriched with a work painted by the prominent painter Jacopo Tintoretto and artists from his studio. 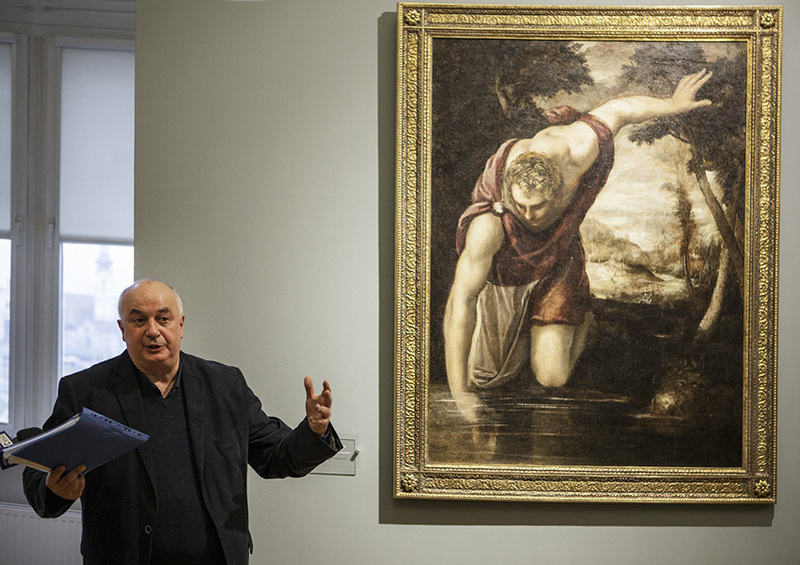 The painting, entitled Narcissus [Narciso], was acquired in 2017 from a private collector and following over a year of restoration is now shown for the first time to the public. 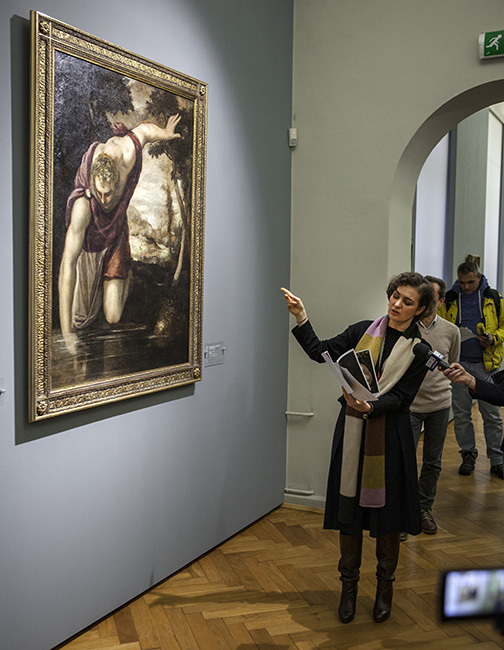 Narcissus had to undergo a painstaking and expensive process of restoration (due to mechanical damage, natural degradation of pigments and tints, overpainting), which could only commence thanks to financial support from the Wallenberg-Pachaly Family Foundation. The specialist work on the painting conducted by Karolina Furykiewicz took nearly a year. 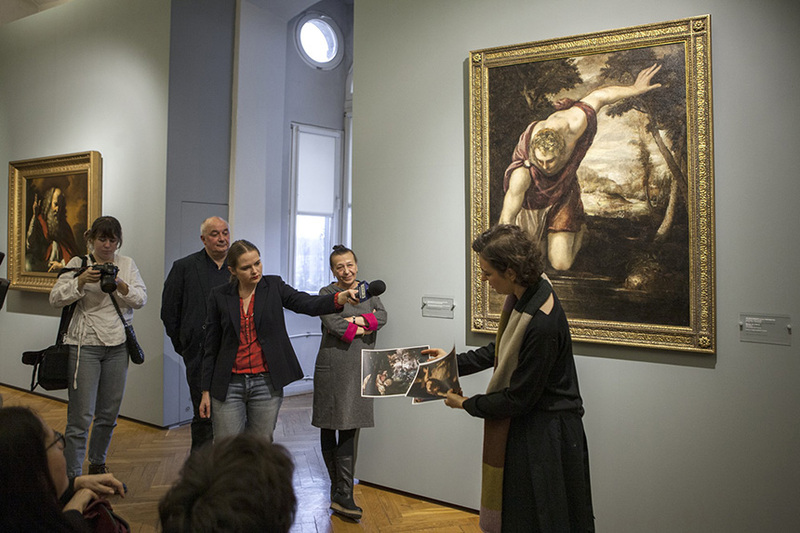 “Today it can be said that Tintoretto himself was at least the author of the concept of this work, its refined composition combining the styles of Mannerism and Baroque, and of the outline of the main character’s figure in which the painter masterly and perfectly applied the bold foreshortening familiar from his other works, especially the paintings for Scuola Grande di San Rocco in Venice”, explains Ewa Houszka, Curator of the Gallery of Art 16th-19th cent. “According to the radiograph (of the visible original drawing) the figure of Narcissus was moved from left to right by about 40 cm, which seems to confirm a direct interference in the composition made by the Master himself and not merely his collaborators at the studio”. The similarities of detail in the figures featured in the Wrocław painting to the slightly different interpretation by Tintoretto of the same subject (Palazzo Colonna in Rome), which were pointed out by Bożena Steinborn (2012), can now also be expanded with the analogies regarding the landscape (in particular a characteristic bridge on stilts). In the 19th cent. the painting was the property of Otto Hausner (1827–1890), a descendant of well-known bankers, political activist in the historical region of Galicia, passionate art collector, connoisseur of Italian painting and the author of two volumes on its history which survive in manuscript form. The country estate of Housner, near the then Lwów, left in ruins by his heirs, together with his other assets were later auctioned, and the painting of Narcissus was acquired by the Schnell family from Stare Brody. The inheritance passed on through the female line to its last owners, moved through Lwów and Rzeszów to Opole, and finally to Wrocław. 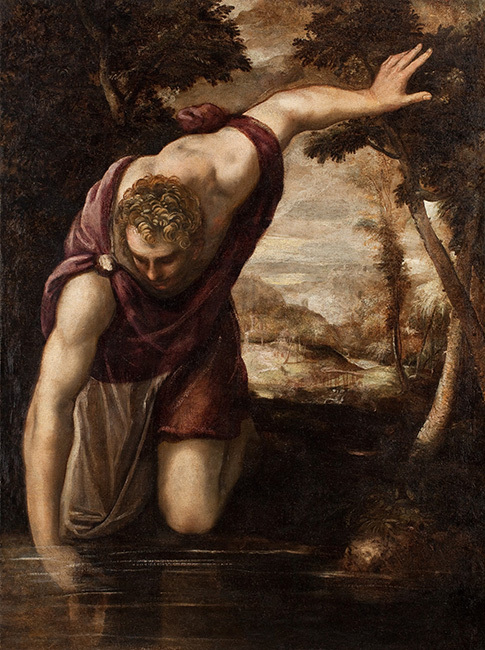 Tintoretto – one of the most celebrated Venetians, next to Titian. He is admired for his unsurpassed inventiveness of composition and skill of shaping space, masterly command of crowds of figures and perfect foreshortening of perspective, and above all the dynamic expressiveness of light and shade, and sophisticated use of colour. The new frame based on the old Venetian models was made by the Wrocław frame makers “Ramy-Domański”. 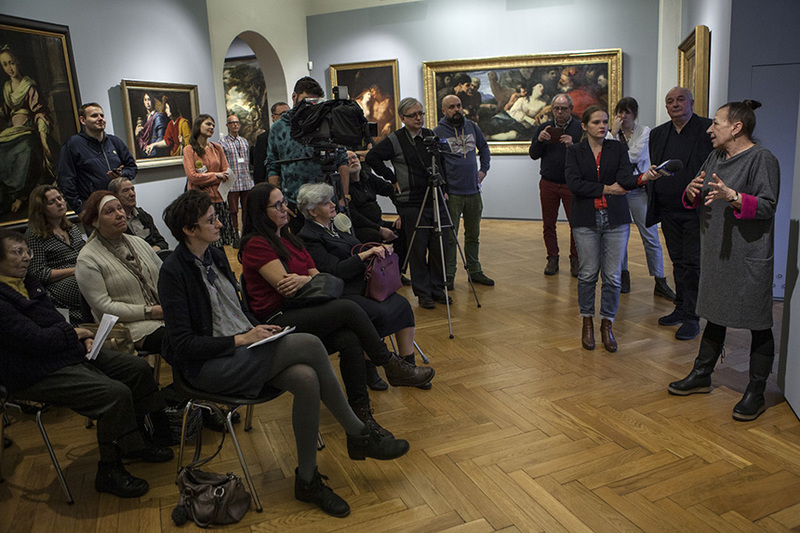 The conservation work on the painting and its new frame were financed by the Wallenberg-Pachaly Family Foundation.